ROCKWOOL manufacture a full range of smart and sustainable insulation products for the construction industry, and their innovative stone wool technology has a unique combination of outstanding fire, acoustic and thermal insulation properties, as well as unrivalled sustainability credentials. They needed to make sure every member of the sales team had a strong understanding of the innovative building products that they supplied to companies around the world, but they couldn’t bring large parts of the sales team off the road for training sessions, and holding one-to-one training was impractical. They approached Hullabaloo to come up with a solution that would create an easy to use training program for sales representatives that could be used on the road by each individual. 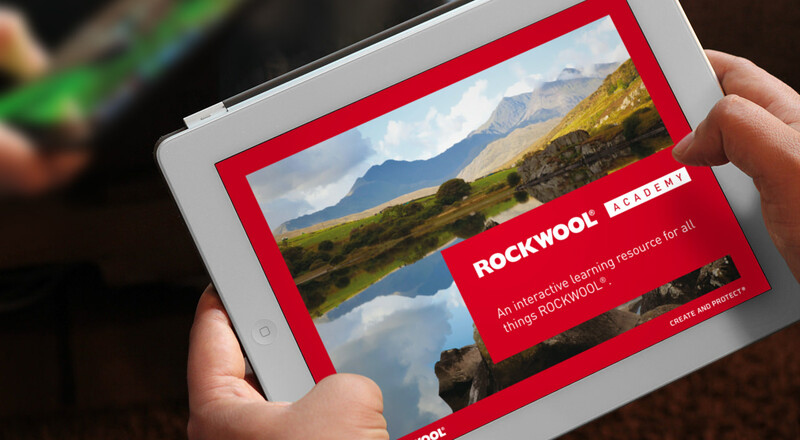 The sales team had already been given iPads to help them keep in touch with the office, and ROCKWOOL wanted a solution they could view on these, but which would also record when a team member had completed the training. 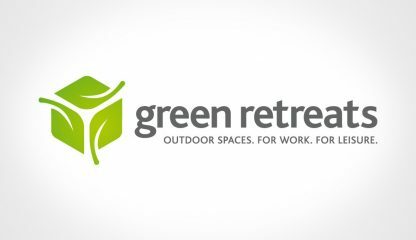 The solution we created for them was a multi-use web app that could be used as both a training tool, and as part of a sales presentation to potential clients. Firstly, we wanted to give the programme its own identity – something that would give the whole training process a sense of coherence and value. Working with an established brand like this meant the identity needed to still be clearly part of the ROCKWOOL brand, so by sub-branding it the ROCKWOOL Academy we were able to build on the logo by simply adding the Academy suffix to instantly convey the objective of the app as a central hub for learning. The ROCKWOOL Academy provided a platform for a wide range of training modules that we developed to cover different aspects of the product range – taking the team members through the features and benefits of each product step-by-step. As each module was completed, the trainee was then invited to download a customer version of the presentation that they could use to explain those benefits to the customer. Due to the nature of the iPad, navigation was an important thing to consider during the design process. Users are encouraged to go through it in a particular order, and each screen was designed to be an easy to navigate, self contained page to suit touch screen navigation. The initial contents page breaks it into modules, which are then split into further sections which can be explored individually. 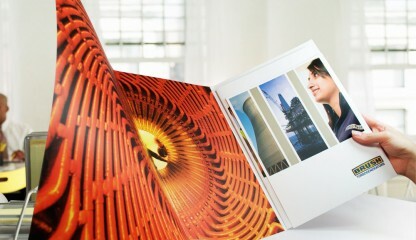 The initial content that ROCKWOOL provided was very detailed, and many key facts needed extra emphasis. By pulling out these key facts and featuring them at the side of the page, users can now quickly swipe through the app, while still gathering important information. Another detailed section provided the opportunity for more interaction with the app. Large blocks of text were broken up and added to an image, where users can click on a section to reveal the relevant information. ROCKWOOL wanted a method of training their sales team while on the go. They wanted something organised and aesthetically pleasing. They wanted something that would provide an incentive to their employees – the experience of working towards a qualification. This web based app was the ideal way to keep in touch with them without the need for hard to coordinate training sessions in-house. 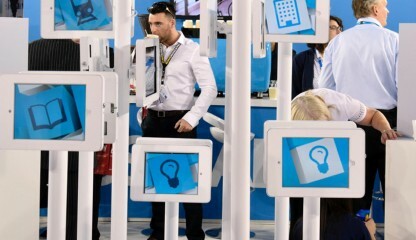 Would your company benefit from a new training app? Have a closer look at our work with ROCKWOOL, and then browse our work with other clients. If you would like to talk about how we could help, please get in touch.